Kinzangura sits in a mountain setting, a short drive away from downtown Ichikikushikino City. 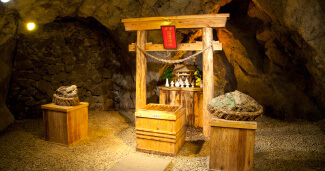 Kinzangura originated in Kushikino Kinzan (gold mine). 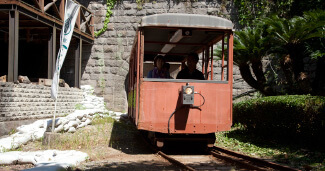 In this capacity, it supported the prosperity of Satsuma. The mine traditionally supported the prosperity of the Satsuma domain. 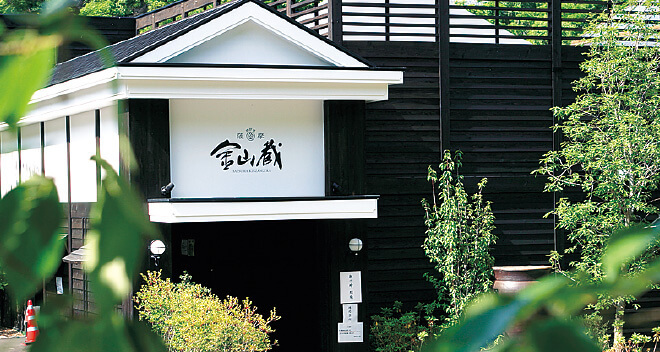 This location inspires in us the Satsuma samurai spirit. 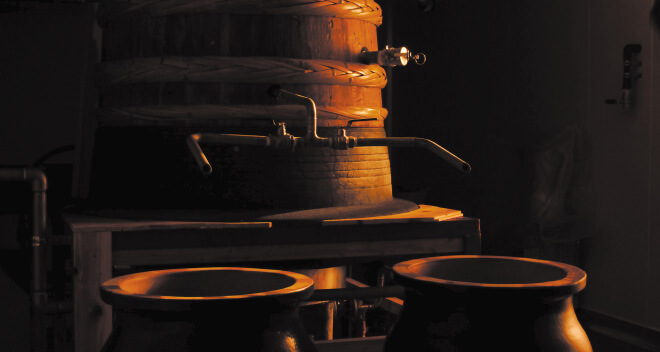 This spirit is expressed in our Honkaku Shochu. 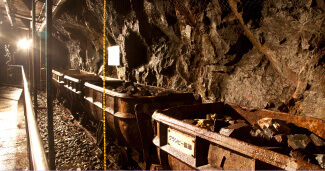 This 120-kilometer mine roadway dug over 350 years provides an optimum environment for the storage and aging of Shochu, because the temperature is constant throughout the year. 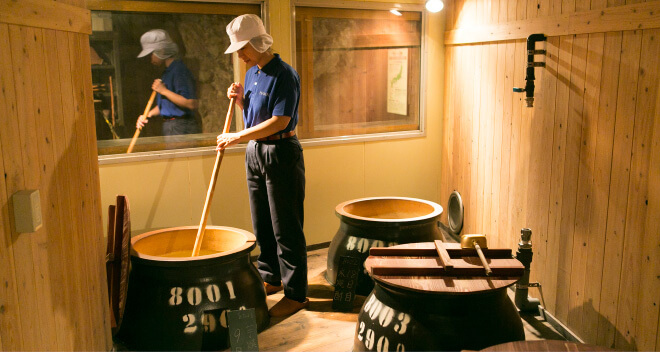 Female master distillers are in charge of making Shochu in the style of the pre-Meiji era (before 1868) at this distillery, where earthen jars are used for fermentation and storage. 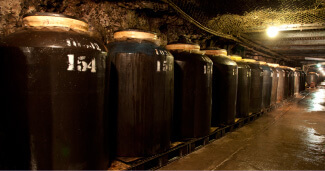 You will see before your eyes how the fermentation is done in the mine roadway. 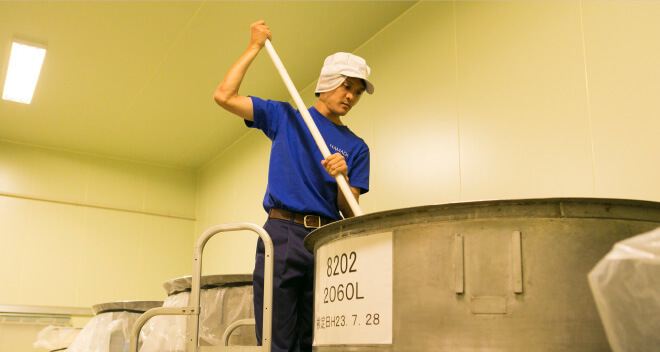 We have other facilities in place so that all our visitors will come to know more about Satsuma culture, the roots of Shochu and the Shochu making process. The helmet kettle distillation unit has made a comeback. 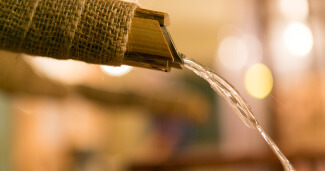 During the Edo period, it was used to make Shochu. 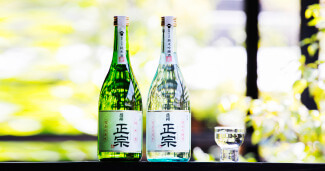 Female master distillers are making Shochu with the Donburi method. Each step is done by hand and with great care. 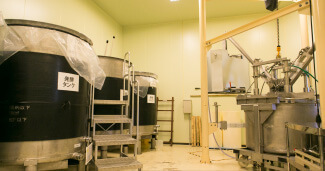 The distillery in the mine roadway has a total length of 120 kilometers. It is there that earthen jars are used for fermentation and storage. 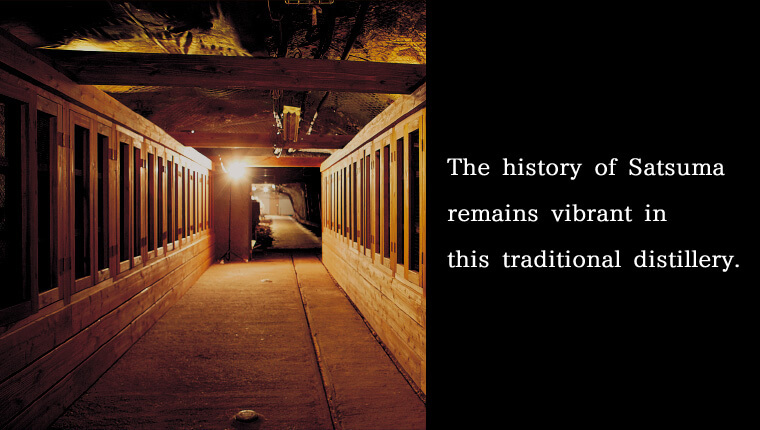 You will see the vestiges of the glory days when the gold mine was in full swing. See what the mine roadway looks like with Google Street View. 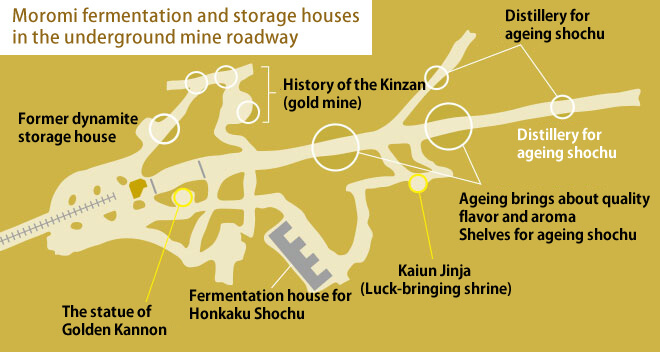 Map of the Shochu fermentation house and aging house in the mine roadway. 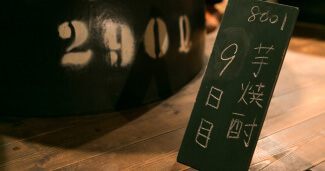 This is the only sake brewery operating in Kagoshima Prefecture. 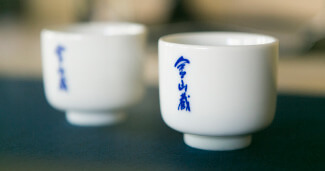 Sake is brewed from the choicest raw ingredients by the master distiller, who has won a gold prize at the National Sake Competition. 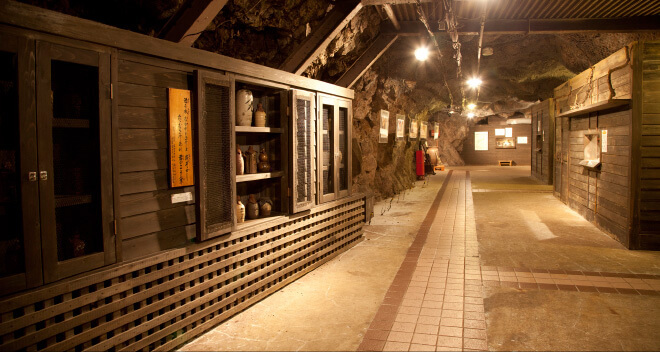 Please take a tour of the fermentation house at Kinzangura, and you will learn from our guide about the Kushikino Kinzan (gold mine) and the history of Honkaku Shochu. ●10 minutes by car from JR Kushikino station. 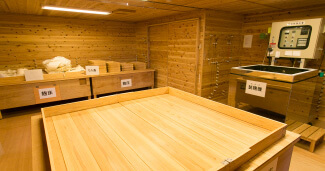 ●From JR Kushikino station, take a bus bound for Sendai and get off at Noshitaguchi. ※Runs Every 60 minutes, excluding reserved trolleys. The timetable is subject to change or delay without notice.